MN State statute 171.02 SUB. DIV. 2 CLAUSE E-2 Requires a class "A" CDL license to tow this trailer. Also the tow vehicle must have a current DOT decal. 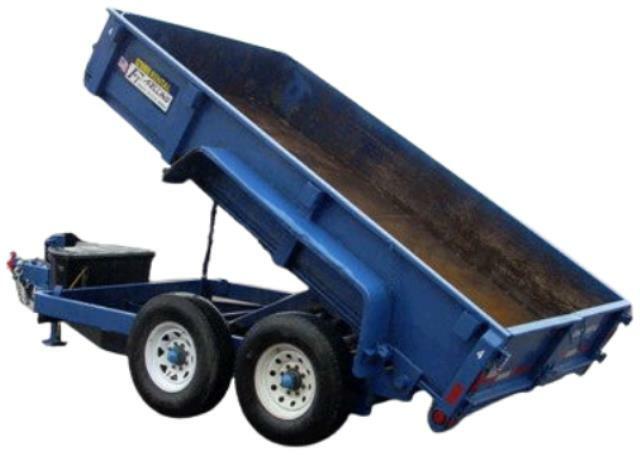 Dump trailers are rated to dump up to 14,000 lbs on a fully charged battery. Trailer can hold up to 5 yards of material. * Please call us with any questions about our trailer dump dual axel w/ electric rentals in Burnsville MN, Rosemount MN, Apple Valley, Minneapolis, St Paul, Twin Cities, South Metro,and Dakota County.